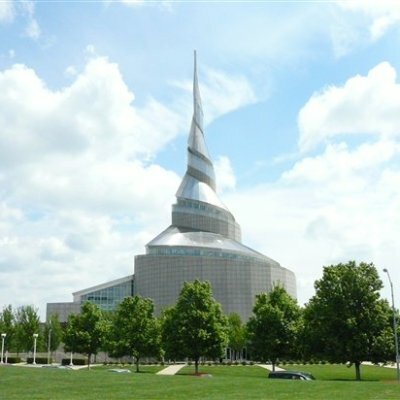 The Temple in Independence, Missouri, is a house of worship and education “dedicated to the pursuit of peace”. It dominates the skyline of Independence, Missouri, USA, and has become the focal point of the headquarters of the Community of Christ. The temple was built by the Community of Christ in response to a revelation presented to their 1984 World Conference by then church prophet-president Wallace B. Smith. This revelation culminated instructions shared over the course of more than 150 years by prior prophet-presidents recognized by the Community of Christ.